We are a jazz trio located in the north central NJ performing in the NJ/NY region with a diverse experience in the music business from the 1970s to today. Our joy is taking standard tunes and spicing them in jazz and latin idioms. We are also fortunate to choose from original compositions written by Clem and Carl. 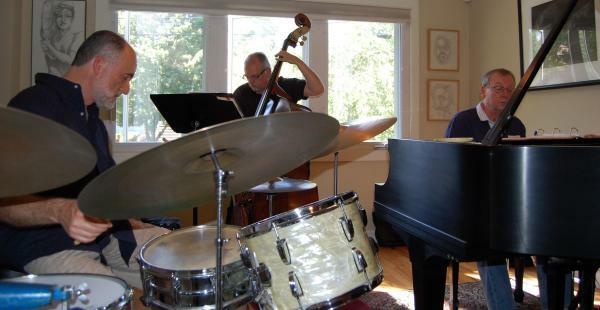 The NJ Jazz Society reviewed a recent performance in the October 2013 issue. An outdoor performance from August 2015 in Westfield. We would be delighted to entertain at your event. Please email us at EhoffTrio @ germansky.org to discuss your interest in booking us for your event.